Nestled on the quiet waters of the Big and Little Niangua arms, the Camdenton area welcomes you to the beautiful Lake of the Ozarks. Enjoy the superb fishing, calm skiing waters, family-oriented resorts, and miles of scenic shoreline when you visit. Known as the "Hub City," Camdenton's location makes it the ideal "home base" for visiting attractions around the entire Lake. 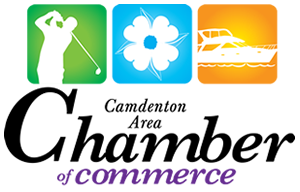 Outstanding golf courses, fine restaurants, Bridal Cave, the Camden County Museum and Ha Ha Tonka State Park are just a few of the many things the Camdenton area has to offer!